One of my favorite staples in the holiday meals is cranberry sauce, but we all know just how processed and unhealthy the average canned jellied cranberry sauces are. 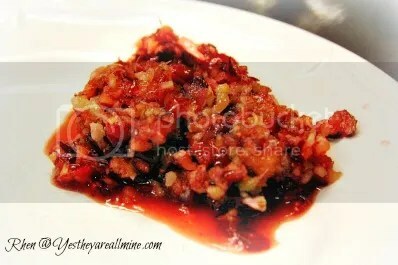 I have tried several recipes to replace the store-bought stuff with something healthier, but none of them had the sweet and sour cranberry taste. To put it nicely, they were horrible. 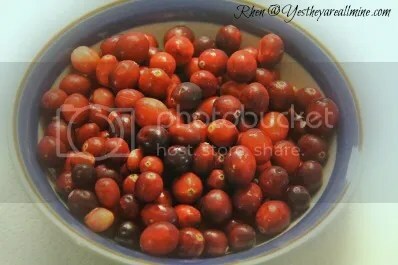 Let me share with you the Jewish cranberry sauce recipe that won over our whole family at Thanksgiving! Chop the cranberries first, then mix them with the sugar and set that bowl to the side. Finely chop and mix the rest of the ingredients together. Combine the two bowls, mix thoroughly, and place in fridge to chill. We used a hand chopper and it worked well, but I am going to try using the food processor next time to see how much finer we can get everything chopped up. This is now the new cranberry sauce that has earned the privilege of being on our family table for all holiday meals and feasts in our home!